Today’s Foodie Friday Fun really isn’t, but it’s definitely instructive. I’m sure you’ve been told to watch your drink when you go to a bar and never to leave it unattended for fear that someone might put something in it. One would hope that the person doing so isn’t a disgruntled employee. A couple went to Chili’s and their server didn’t like that they were complaining about how their meal was prepared. They ordered a couple of drinks to go and the server spit in them. This was discovered when the lid popped off as the couple left. A quick return to Chili’s produced a refund and coupons for future meals (you’re kidding, right? Who would go back?) but the couple wasn’t done. They took the cup to the police who took a DNA sample from the spit and from the server who denied doing anything. Busted! You can read a full account of this tale here. There are so many things wrong here it’s hard to know where to begin. First, how is the staff not told that if the food isn’t prepared to the customer’s liking it’s a kitchen issue, not a service issue. Servers are customer service reps – they are there to help the customer. Period. Their job is to fix problems, not to cause them. If there is an issue they can’t handle, escalate it to a manager. In this case, the server apparently took a kitchen issue personally. Second – the server wasn’t fired on the spot. 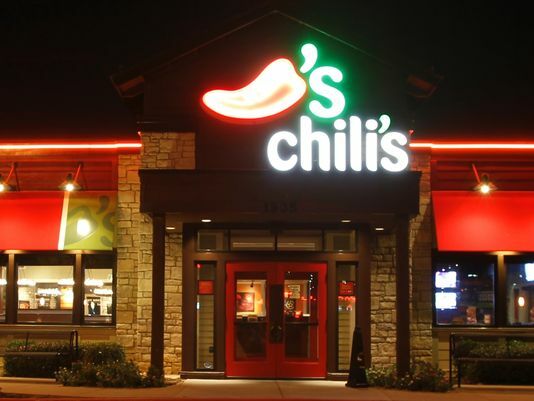 As a result the couple has sued Chili’s, the waiter, and Chili’s parent company. In fact, he’s still working there. What sort of statement does that make to the rest of the staff (yes, the server admitted to spitting in the drink after the DNA test)? In this case the server felt put upon by the complaints the customer had. What if another server has an issue with a customer’s race? The story has been widely reported – would this be your first stop if you were nearby? If a questionable social media post gets people fired, how does inducing this sort of negative reporting not? Don’t kid yourself. This sort of thing can happen in your business too. A quick search for “service rep threatens customer” provides over a million results. If you have customers (let’s hope! ), anyone who interacts with them needs to understand the standards of acceptable behavior and when they need to escalate a problem upwards. There is no circumstance in which doing what this server did is acceptable and he should have been fired immediately. I realize I went off on Chili’s just a few Fridays ago and I’m not picking on them. It’s interesting that their sales aren’t great, though, and it’s not a stretch to wonder if maybe there is a system wide issue when you read things such as this. It’s a good reason for each of us to reexamine how we do things, don’t you think?